Everyone else, thanks so much for spreading the word! All About STILLWATER and a DEFY THE DARK Giveaway! Since the other tour stops posted reviews, I thought I would talk a bit about STILLWATER and answer a couple of the questions I've gotten about it so far. Q: What inspired you to write STILLWATER? A: The core idea of STILLWATER actually came about while I was researching my family tree. 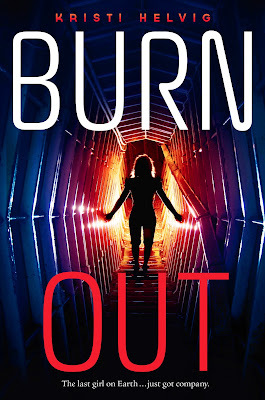 Specifically, the idea took root when I discovered that author Beth Revis and I just might be cousins! I know, right? Without going into too much personal family detail, I'll say grandmother's maiden name is Revis, and she is from the same (tiny) part of North Carolina as Beth's husband. And that got me thinking. As someone raised in the "north", I had never really considered the complex relationships created in the south after the Civil War. I wondered what it must be like for black and white people to be reminded of their family's past history on a regular basis simply by sharing a last name. So that's where the idea for Pruitt and Delilah and the Reese family saga came from. Q: Where exactly is STILLWATER? A: I intentionally made Stillwater a fictional town in an undisclosed (but obviously southern) state. However in my mind, I was always imagining western North Carolina. And "the ridge" is based on the cliffs I saw when I was there. I've seen people mention that Stillwater is in Texas, and I love that readers have built their own world around Stillwater. It's one of the reasons I chose not to set it in a specific place. I love seeing what readers take from what I've written. Q: Why did you decide to write from Pruitt's point of view? A: Honestly, I didn't give this one too much thought. I love writing boys. I don't know why - I'm sure some psychologist could give you a better answer - but I just find it a lot of fun to be inside their heads. From the moment Saundra asked me to be in the anthology, I knew I was going to write from a male POV - even though I had NO idea what his story might be. It was only after I'd written STILLWATER and sent it off to Saundra that I realized that Pruitt and I have pretty much zero in common on a surface level. Not our race, gender, or even region of the country. (And then I had a brief moment of panic.) Pruitt was not at all the guy I first envisioned narrating my story, but he came to me as a fully realized person, with his own way of talking and seeing the world and it was all I could do to keep up with writing down everything he was telling me. In the end I feel that he is one of the most "real" characters I've ever created and I have a lot of affection for him (and Delilah!). I'm actually sad that I didn't get to spend more time in his head and in his world. I hope readers will love him too! And now for your fourth chance to win! I'm giving away a signed, hardcover copy of DEFY THE DARK! It's just over a week until DEFY THE DARK releases and that means its time for more giveaways! All week, I'm hosting a blog tour which will feature a review, and a chance to win a FINISHED COPY of DEFY THE DARK! Saturday, June 15 - Me! 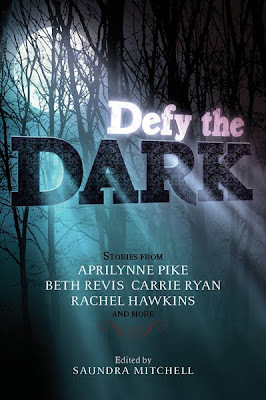 Be sure to check out each blog, each day, to see what they thought of DEFY THE DARK and enter to win a copy of your very own! DEFY THE DARK Giveaway Winners! 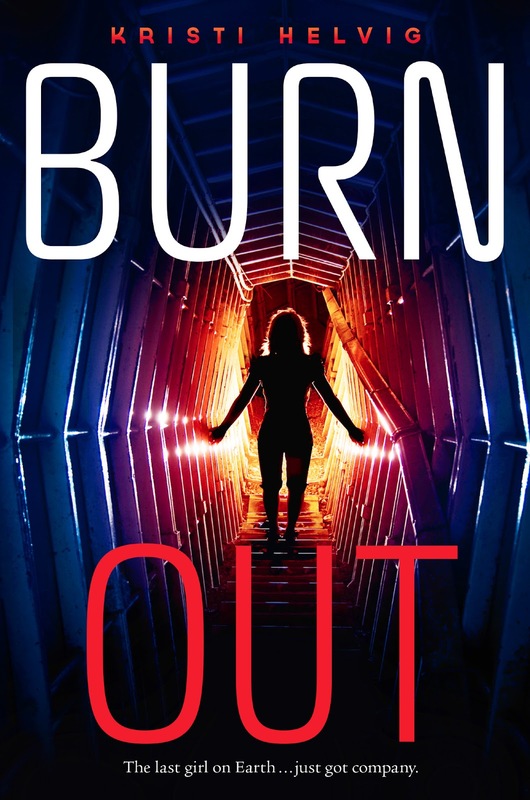 I don't have an email address for either of you, so please contact me and let me know your mailing addresses so I can get these ARCs out to you! Thanks so much for entering! There will be more chances to win finished copies during the DEFY THE DARK blog Tour coming soon!